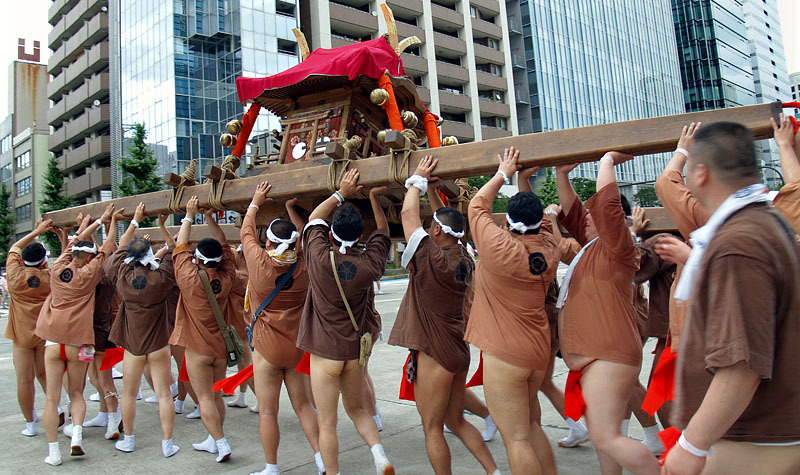 Japanese people tend to think that the Fundoshi, loincloth, is a embarrassing item. People generally have a image of the Fundoshi is old, conservative and uncool. Also people believe Fundoshi is only for wearing at summer festival. unfortunately, only minority people accept the traditional underwear. Why people started thinking Fundoshi is uncool? When do people think that Fundoshi is a embarrassing item? Let’s research about history of Fundoshi. 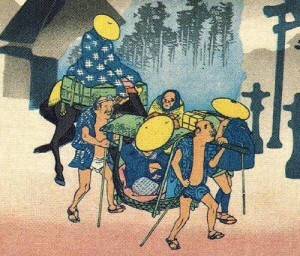 Until Edo era Fundoshi, Loincloth, was used for working clothes by men. Those workers, carpenter, fishermen, craftsmen and merchant wore Fundoshi. They showed a loincloth from the turned down hem and worked hard at work. 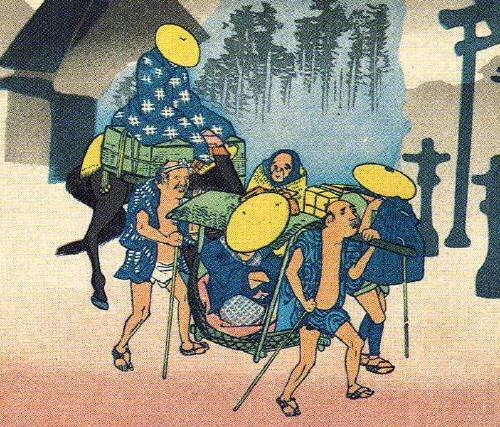 It’s possible to see the history from the Ukiyoe, old printing, which shows a person revealing a Fundoshi magnificently. Therefore, until at least that time, it means that a Fundoshi was not shameful clothes. Time goes by, and the times starting of the Westernisation. Many foreigner was surprised that men walked around city with revealing their bottom in Japan. In that time, a person in authority had regulated that “ Don’t be naked in public place . “ After that, people generally started thinking that the Fundoshi, loincloth, is disgusting underwear with vulgarity. 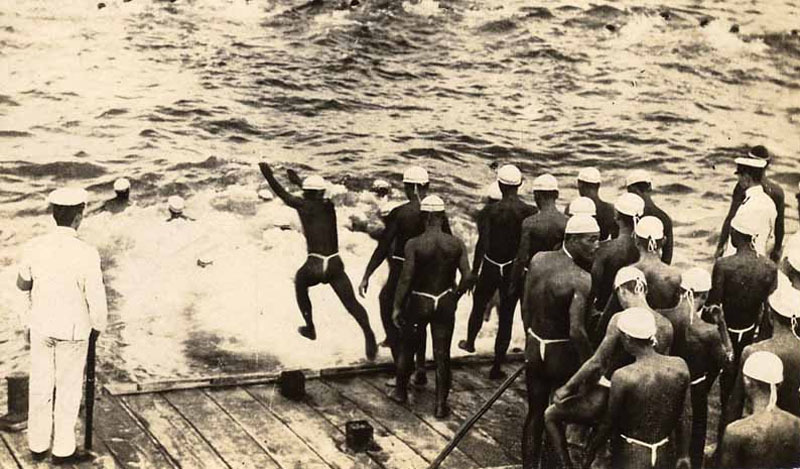 And after defeat in war, The Fundoshi, was the basic underwear of the armed forces. 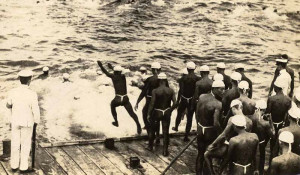 The Fundoshi was caught as a militaristic symbol. In addition, the lifestyle of Japanese has been changed rapidly as Americanise. Along with the history, Japanese started wearing underwear. The historical changing, westernisation and defeat in war, let finish people wear Fundoshi generally. Then, people generally have negative image to Fundoshi recently. 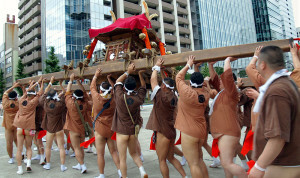 The Fundoshi is used as a uniform of sumo or festivals now in this way. 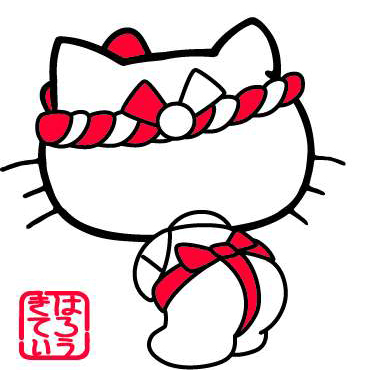 There few people use Fundoshi habitually as common use underwear any more in Japan. However, some people revalue it as health and comfortable underwear. So someday, it would be accepted as a great underwear over world. I hope it will be introduced at “Victoria’s Secret” show! !